First up is "What's for Lunch: A Community Conversation," a discussion featuring Cory Schreiber, former chef/owner of Wildwood and Oregon's first Farm to School Coordinator for the Dept. of Agriculture, as well as Joyce Dougherty, Director of Child Nutrition Programs for the state Dept. of Education (ODE) and Michelle Ratcliffe of Ecotrust’s Food & Farms program. They'll be talking about making Oregon a model for bringing better, fresher and more local food to the state's children through school cafeterias, garden projects and curriculum in the classrooms. Details: "What's for Lunch: A Community Conversation." Apr. 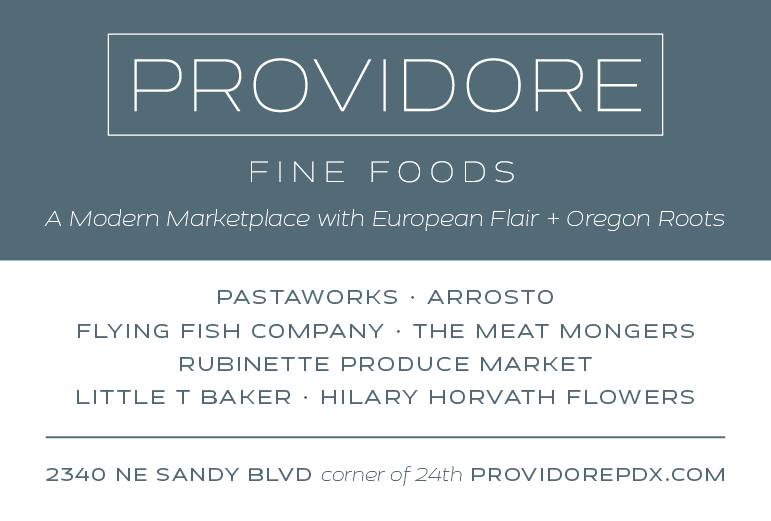 13; 4-6 pm; $10 with RSVP to Ashley Griffin at the Portland Culinary Alliance. Event at Natural Capital Center, Billy Frank Conference Center, 721 NW 9th Avenue, 2nd floor. It sounds like a foodie version of the afterlife. Imagine a vast hall filled with the best of Portland's vaunted restaurant scene, its top wineries and much-ballyhooed microbreweries. And it's all yours to wander and graze for free. Now imagine that it's happening for real and you don't have to die to get there. Even better, at the annual Taste of the Nation event, 100% of the ticket sales and auction proceeds go to benefit Share Our Strength, an organization dedicated to ending childhood hunger in America. It's an event that'll feed your body and your soul. Details: Taste of the Nation, Apr. 28, 6:30 pm; $75, for tickets call 1-877-26TASTE or buy online. Oregon Convention Center, 777 NE Martin Luther King Jr. Blvd. If you've always wondered what it would be like to boogie with a beet or get down with the Doyenne of Dirt, Portland's own Ketzel Levine, then you simply must dance on over to the 2nd Annual Veggie Ball, a costume ball and benefit for Growing Gardens. You'll be dazzled with fare from more than a dozen of Portland's premiere restaurants, and be able to bid on excursions and other items in auctions both live and silent. Not to mention helping this great organization build organic, raised-bed gardens in back yards and create Youth Grow school garden clubs for future veggie eaters and growers. 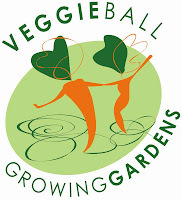 Details: 2nd Annual Veggie Ball, a benefit for Growing Gardens. May 17, 5:30-10 pm; $75 ea./$125 pair, tickets available online or at Garden Fever!, 3433 NE 24th Ave. Event at Staver Locomotive, 2537 NW 29th Ave. Phone 503-284-8420.